Aloha from Maui! We are on day 2 of our week and a half long Hawaiian vacation. Maui is very special to me because it is where my husband and I met. It will be 9 years on July 18th since we met here! Crazy! I'm getting lots of time in by the pool and relaxation, which is exactly what I needed! Although, I'm not getting as much work done as I'd like. I can't seem to motivate myself! 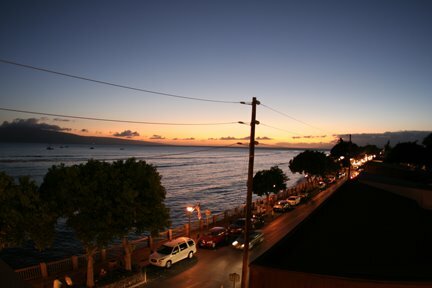 Tomorrow Chuck and I are going to take a drive to the west side of Maui and visit an art gallery that we like. And then we'll set some fireworks off at the beach tomorrow night! Tonight was the first time I got my camera out to take some pictures. We ate at a new restaurant in Lahina called The Lahina Store. 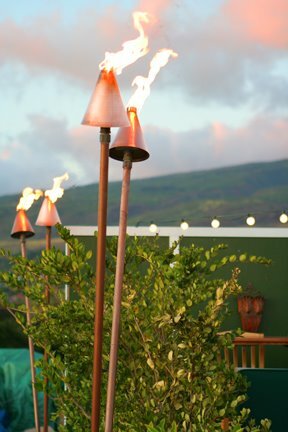 It's one of the only restaurants in Lahina with rooftop dining (although some telephone poles kind of get in the way). Have a very happy and safe Fourth of July! I'll be posting more pictures soon! 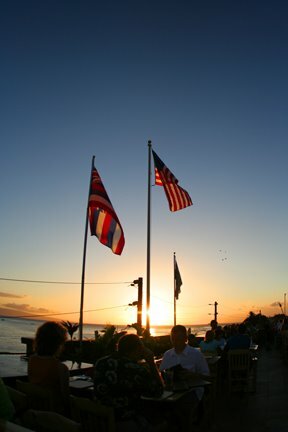 I had a chance to see your Hawaii pictures. I hope you are having a good time. Don't worry about me cause I am having fun! Have fun and and I will see you at LAX!